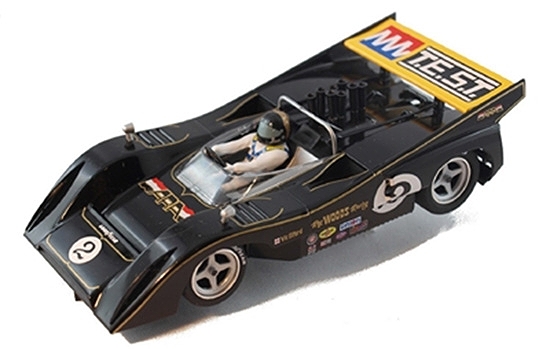 As summer begins it’s wind down, we are ramping it up with some super cool new arrivals and some new cars available for pre-order. Warehouse will be open to the public the first and third Saturday of every month from 9am-1pm. 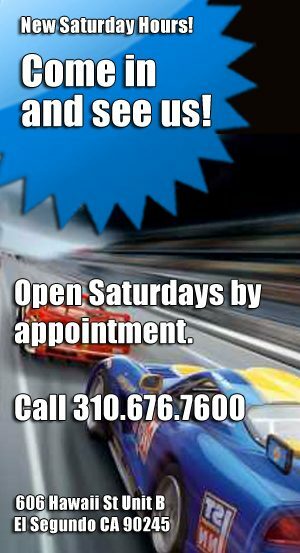 Because we’ve had a lot of requests for weekend hours, we’re happy to announce that our El Segundo warehouse will be open on the first and third Saturday of every month. 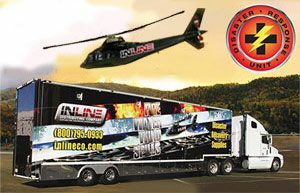 You’ll be able to come in and browse our huge selection of slot cars between 9am and 1pm. 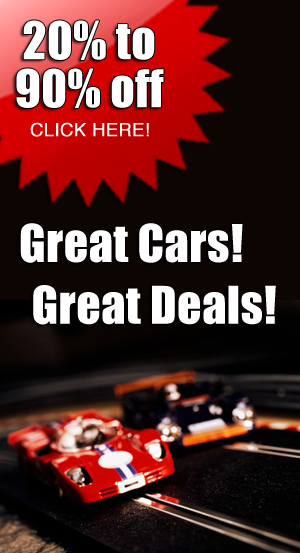 Limited edition of 640 cars worldwide. 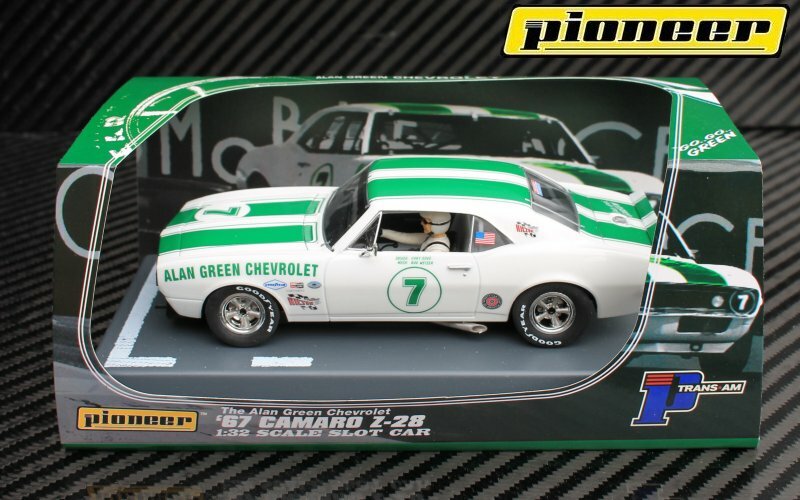 Model of the Alan Green Chevrolet car from Seattle, campaigned in early TransAm races by Gary Gove, who later won an under-2-liter CanAm championship during that series’s single-seat era The Camaro is still active in historic TransAm racing. Fly 042301 Ferrari GTO Road Car —PRE-ORDER NOW! 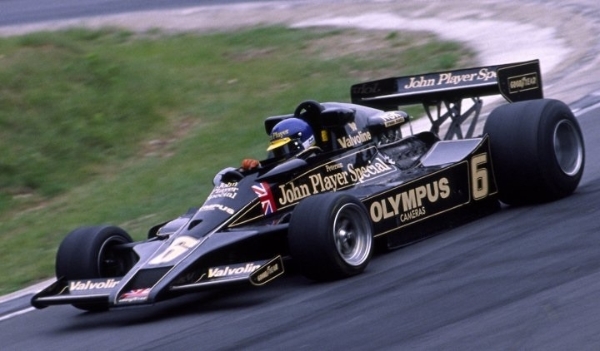 Fly 058107 Lotus 78, British GP 1978 Ronnie Peterson—PRE-ORDER NOW! 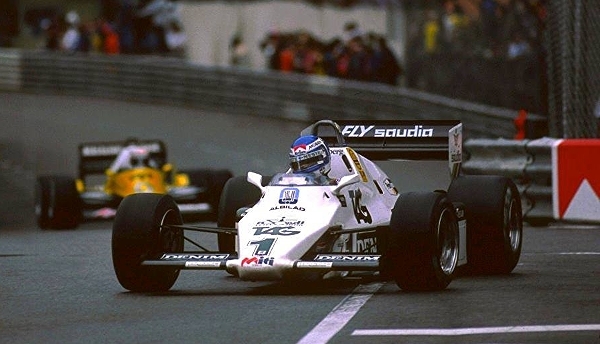 Fly W40103 Williams FW08, Monaco GP 1983 Keke Rosberg—PRE-ORDER NOW! 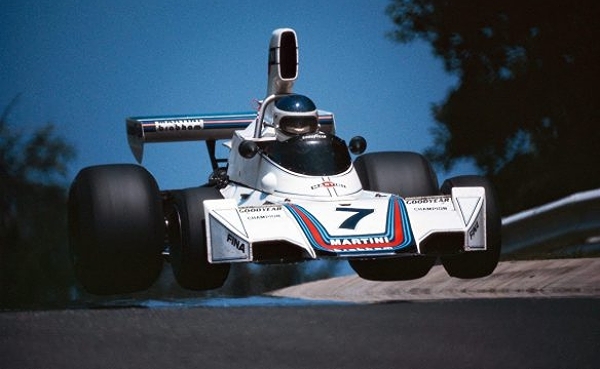 Fly 062101 Brabham BT44, German GP 1975 Carlos Reutemann—PRE-ORDER NOW! MSC7401 Peugeot 205 T16 #205 Grand Raid 1987 1/24 SCALE—PRE-ORDER NOW! 4WD replica of the off-road racer. 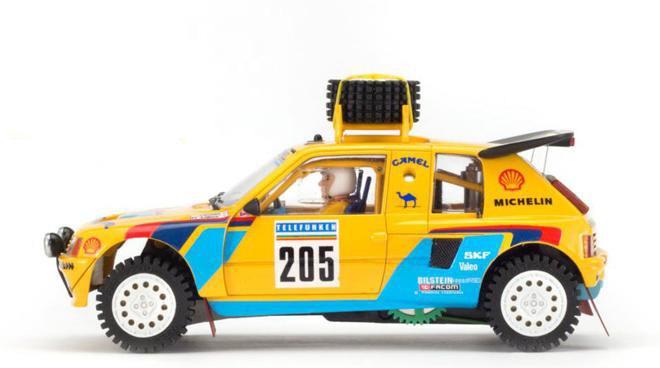 MSC7403 Peugeot 405 Grand Raid Dakar #203/204 1/24 SCALE—PRE-ORDER NOW! 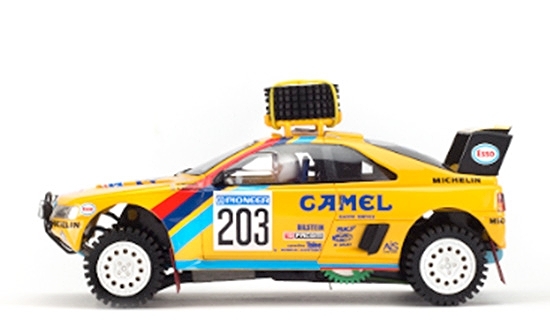 MSC7403 Peugeot 405 Grand Raid Dakar #203/204 1/24 SCALE—PRE-ORDER NOW! 4WD replica of the off-road racer. Scale Auto SC7057 ‘Presentation’ SRT Viper GTS-R 1/24 scale—PRE-ORDER NOW! Scale Auto SC6049 BMW M1 Group 5 ‘BASF’ #50—PRE-ORDER NOW! 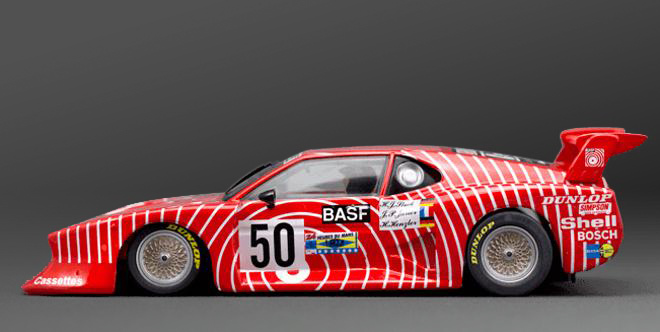 Scale Auto SC6049 BMW M1 Group 5 ‘BASF’ #50 – PRE-ORDER NOW!